Being a mom is a full-time job. Being a hockey mom is like being the CEO, the CFO, the human resources director and the receptionist all at once. It’s no easy task -- but you do it because you love it. There’s a long list of problems that hockey moms have to deal with on a daily basis. Chief among these: smelly hockey equipment. How do you wash the stink out of hockey gear? It’s an age-old question that moms everywhere long to know the answer to. If you’re a seasoned vet at this point, you probably have your own process and special tricks figured out for how to diffuse the odor that seems to constantly emit from your kid’s hockey bag. 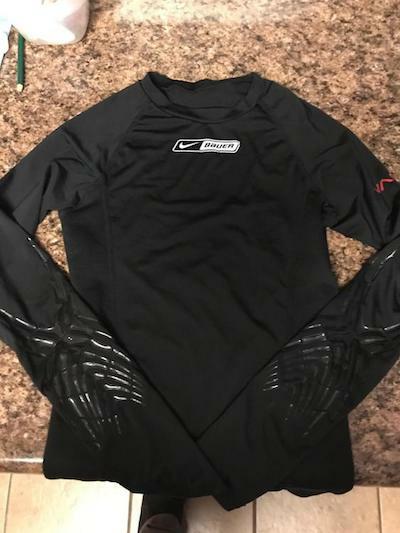 If you’re newer to the sport, read on for some pro tips on washing hockey gear. Emily Erson, head author of the popular hockey mom blog On the Job Mom, recommends you use the sanitary setting on your washing machine. 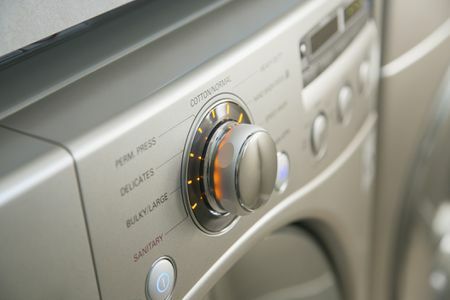 Not all machines have this specialty setting, and if yours doesn’t, it may be worth upgrading to a more sophisticated washing machine. Emily also recommends keeping your kid’s clothes -- jerseys, socks, Under Armour -- in a separate bag inside of their larger hockey bags. Cinch sacks (also called drawstring bags) are a great option for this. 2. Air it out -- and utilize the sun! Jackie from Happy Hooligans recommends airing your child’s gear out as often as possible. After every trip to the rink, have your kids take out all of their pads from inside of their bags and lay them out in the garage to dry. 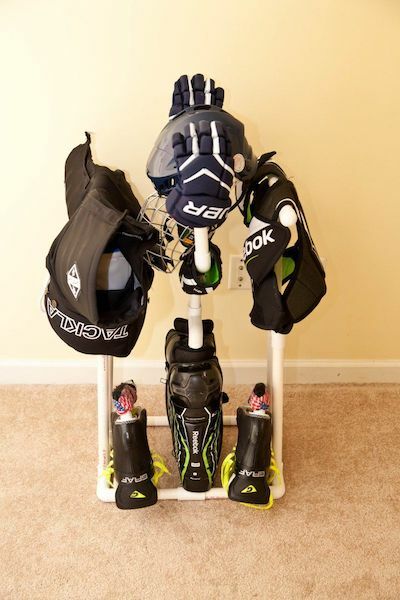 “My boys empty their hockey bags beside the dehumidifier, which helps wick the moisture out of the equipment and shortens the drying time,” Jackie says. She also recommends laying hockey gear out in the sun once a week when you can. The sun’s UV rays can help kill some of the bacteria that inevitably festers in hockey pads. Jody Anderson, author of the popular book “Hockey Moms Aren’t Crazy! 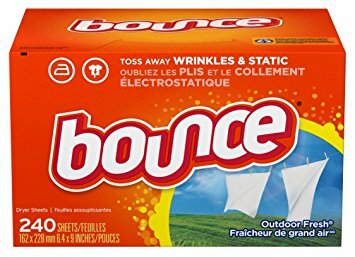 Well, Maybe Just a Little Bit,” swears by dryer sheets as a way to absorb moisture out of damp hockey pads. Coach Jeremy from “How To Hockey” says one of the best things you can do is create a barrier between your skin and your pads. That way, some of the sweat will get absorbed into your midlayer rather than getting soaked up by your pads. If your gear has Velcro straps, try to secure them before you throw your pads into the washing machine, rather than letting them hang loose. If they’re loose, your gear may attach to the Velcro and get all bundled together. Top loading washing machines may tear up some of your equipment if there’s not enough room for the hockey equipment to spin; front loading machines are better for washing gear, as they spin the gear more thoroughly. Jenn, the queen of clean from the popular blog Clean and Scentsible, agrees that the washing machine is a great resource for getting the stink out of hockey gear. In addition, she also seconds the notion that the sun is a great natural resource for airing out your child’s hockey pads and helping to kill some of the pads' built-up bacteria. Another surefire technique? 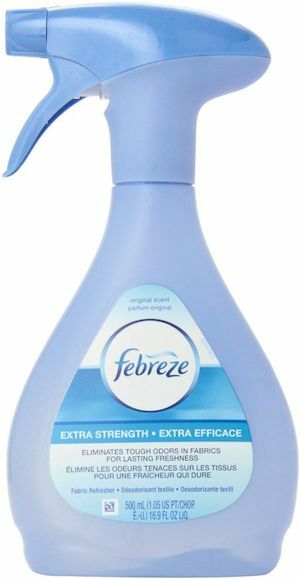 Febreeze! “Spray down your gear as soon as possible with an odor eliminator spray like Febreeze. Some products such as Live Luv Lavish also contain antimicrobial, antifungal, and antibacterial properties for an added benefit,” Jenn says.